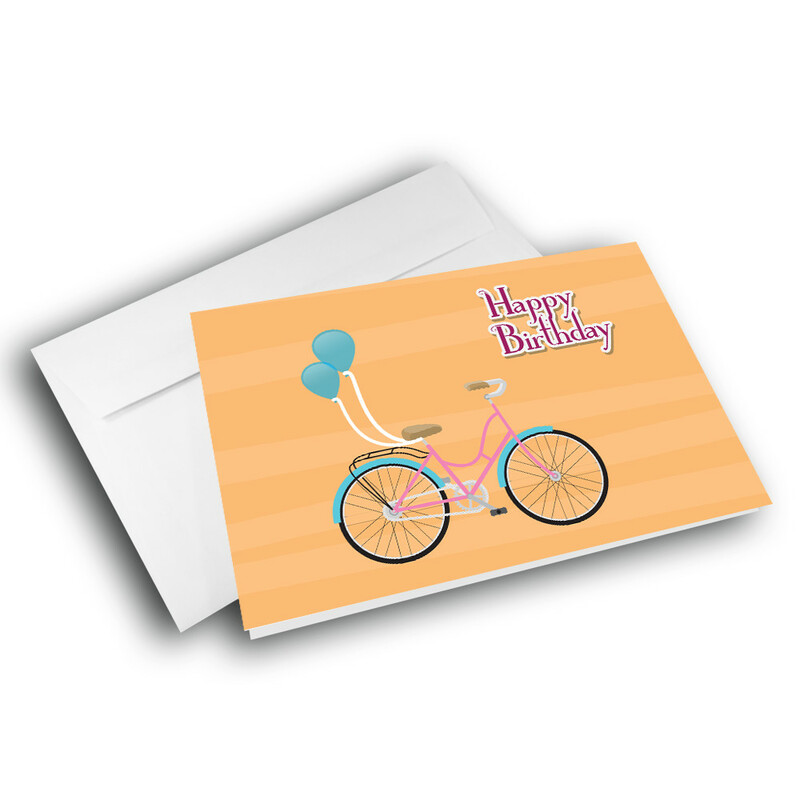 A simple and unique birthday card to send some meaningful birthday wishes. 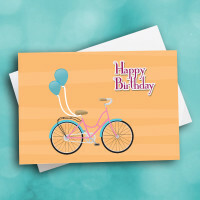 Send a stylish birthday card to brighten up someone's special day. 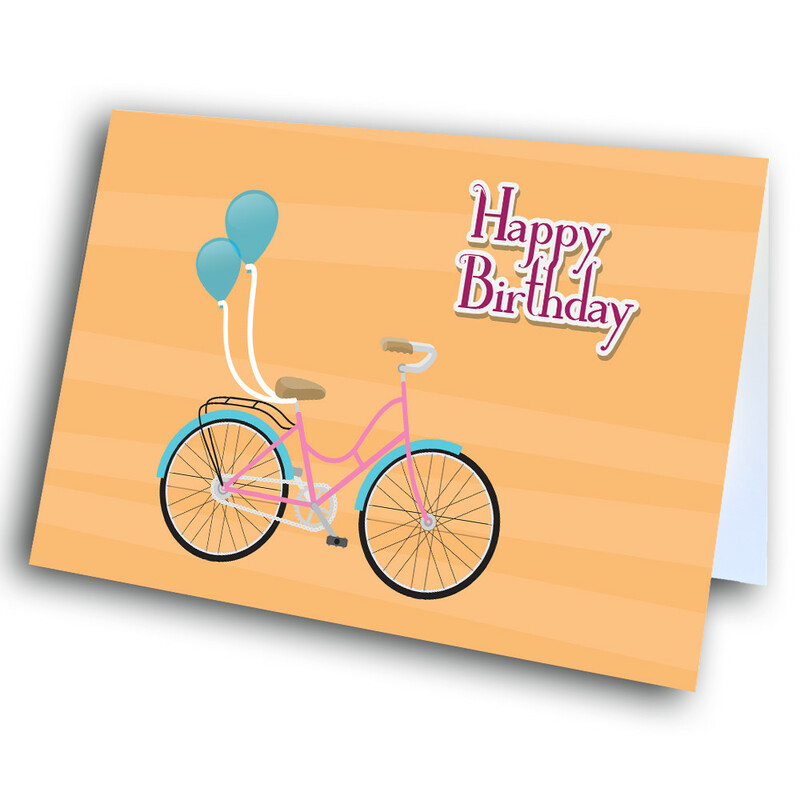 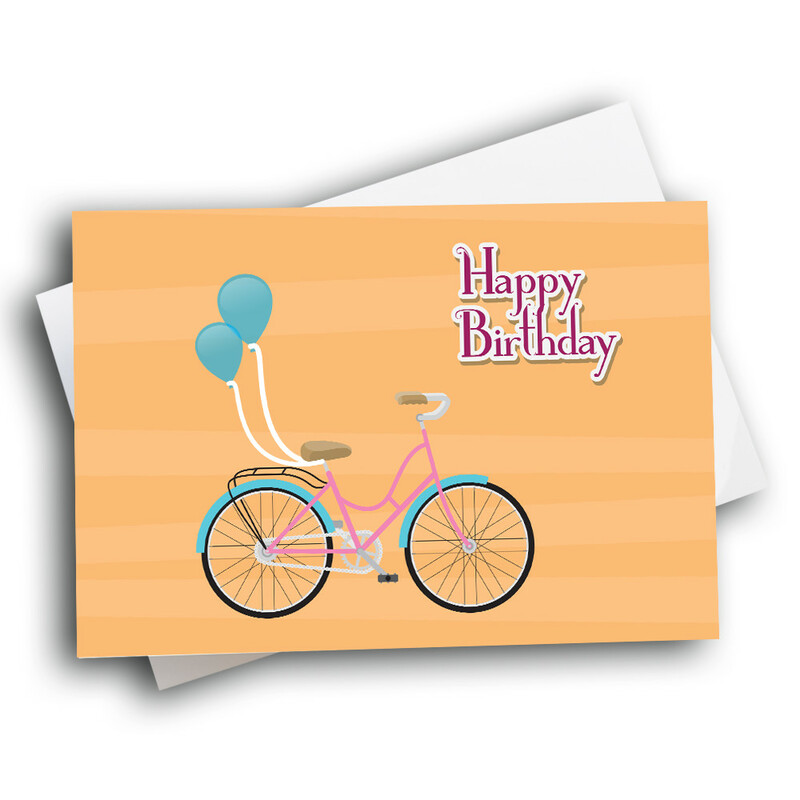 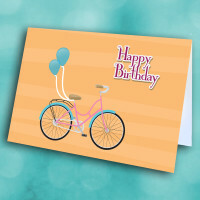 A bright and happy bicycle tugs along little blue balloons, and the peachy striped background adds a classy charm. 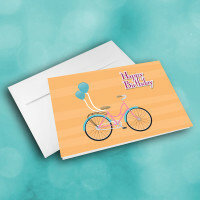 Add a personalized message inside to make this birthday card even more meaningful.